It has been almost a year since Jose Bautista's famous bat flip. The move by the Toronto Blue Jays slugger has been featured on T-shirts, baseball cards — even tattoos. 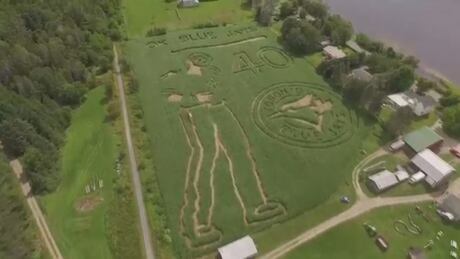 Now, it has been commemorated in a farmer's field, in a 2.4-hectare corn maze. You are currently browsing the archives for the News/Canada/Toronto/Programs/Here and Now category.